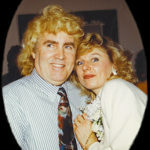 Jan and Gertie at Lulu’s Roadhouse in Canada, where they met — (courtesy Gertie Berry). 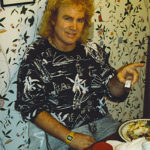 Jan at Halloween, 1990 — (courtesy Gertie Berry). 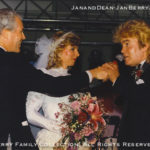 Jan Berry married Gertie Filip on September 1, 1991, at the Stardust Resort and Casino in Las Vegas, Nevada. 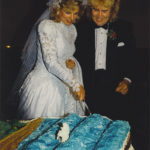 Dean Torrence served as Best Man — (courtesy Gertie Berry). 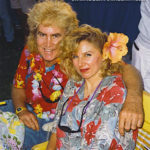 Jan and Gertie on their honeymoon in Hawaii, 1991 — (courtesy Gertie Berry). 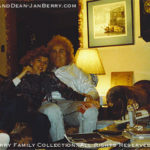 Jan and Gertie, 1991 — (courtesy Gertie Berry). 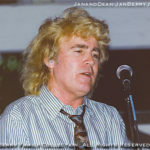 Jan onstage, 1991 — (courtesy Gertie Berry). 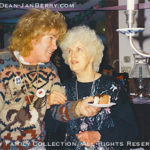 Jan with his mother Clara, 1990s — (courtesy Gertie Berry). 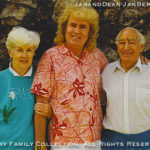 Jan with his mother Clara and father Bill Berry, 1990s — (courtesy Gertie Berry). 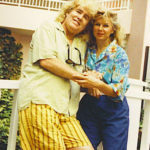 Jan and Gertie, 1990s — (courtesy Gertie Berry). 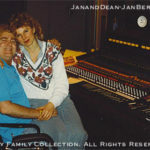 Jan Berry in the studio with Gertie, during recording for his solo album SECOND WAVE, early 1990s — (courtesy Gertie Berry). Franken-Berry Lives! — Jan at South Westgate Avenue, Brentwood, Halloween 1994. 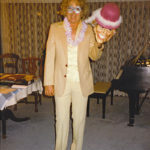 Jan loved handing out candy, but always set aside plenty for himself — (courtesy Gertie Berry). 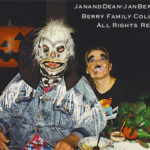 Jan and Gertie at South Westgate Avenue, Brentwood, Halloween 1995. 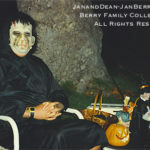 Jan loved handing out candy, but always set aside plenty for himself — (courtesy Gertie Berry). 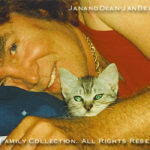 Jan with beloved kitty Jack Benny — (courtesy Gertie Berry). 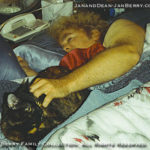 Jan with beloved kitty Buttercup — (courtesy Gertie Berry). 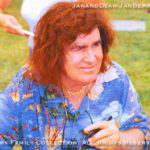 Jan signing autographs, 1990s — (courtesy Gertie Berry). 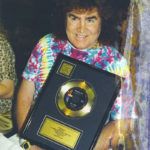 Jan with a gold record for “Honolulu Lulu,” 1990s — (courtesy Gertie Berry). 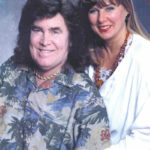 Jan and Gertie, portrait, late 1990s — (courtesy Gertie Berry). 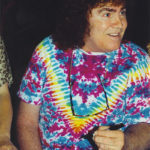 Jan signing autographs in Syracuse, New York, August 1999 — (photo by Sheldon Castle; courtesy Gertie Berry).